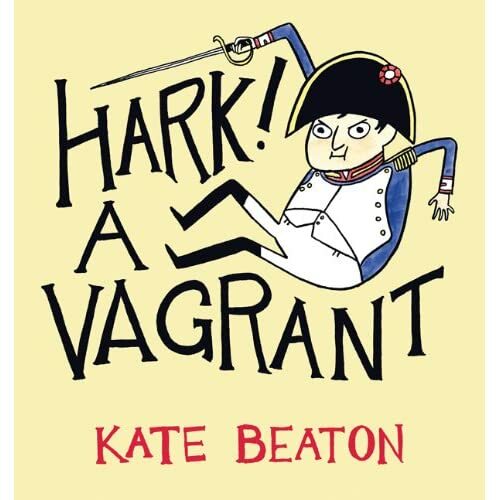 Cartoonist Kate Beaton has won a Doug Wright Award for her book Hark! A Vagrant (Drawn & Quarterly). She was presented with the honour Saturday night at the Toronto Comic Arts Festival. The award-winning book is based on her popular web comic- a witty satire that pokes fun at history and literature. Beaton was born in Nova Scotia, studied history in New Brunswick, and now lives in New York. At the 2009 Wright Awards, she was acknowledged with an emerging artist honour. First founded in May 2005, the awards were named after Doug Wright, whose cartoon strip, Doug Wrights’ Family (or Nipper) ran for 30 years across Canada and internationally. The awards are held annually to shine a spotlight on Canadian cartoonists and comic artists. The other artists honoured at the ceremony are Ethan Rilly, who won the Spotlight Award for Pope Hats #2 (AdHouse Books); Michael Comeau, who won the Pigskin Peters Award for experimental and avante-garde comics for Hellberta (Koyama Press); and political cartoonist Terry Mosher (aka Aislin), who was inducted into Giants of the North, the Canadian comics hall of fame.